I attended a conference themed “The Other’s Other: Performance and Representation in Language” organized by, and held at, the University of Cologne, Germany, between 25-26 Sept. 2017. I presented a talk on the subaltern themes and motifs in the Nigerian film industries [emphasis added]. It is common knowledge, I guess, to all that “Othering” does not only exist in the film, but it also thrives. Thus, my paper argues on how the regional filmmakers in Nigeria have, consciously or not, been widening the existing binary and rivalry between the country’s diverse ethnic and religious groups. At the risk of sounding self-congratulatory, the paper generated a lot of discussions and debates. This article is a précis of the talk and the debates. The focus of the deliberations, particularly in the post-conference side talk, was surprisingly changed from “Othering” to the existence and peculiarities of Kannywood film industry besides the “Global Nollywood,” to use Krings and Okome (2013) term. The distinction is, of course, arguable, but I am of the firm belief that it exists. The regional, ethnic, linguistic and thematic differences between the two industries are too many and too glaring to be swept under the carpet. The Indian Bollywood, for example, too, does not represent all the country’s film industries, which are quite many and independent. A typical case can be cited with that record-breaking epic fantasy, Bahubali (2016&2017). To the surprise of many, as a film made by the south Indian company, it was not produced under the banner of the mainstream Bollywood. Some scholars such as Kaplan (1996:661) suggest that “A nation has to develop its own cinematography, its own film language, by relying on its own visual culture, narrative traditions, and capacity for artistic experiments”, Nigeria, much more than India, cannot achieve that because of its heterogeneity and the raging contention between its diverse ethnic groups – IPOB, Niger Delta Avengers, etc. as a few examples. 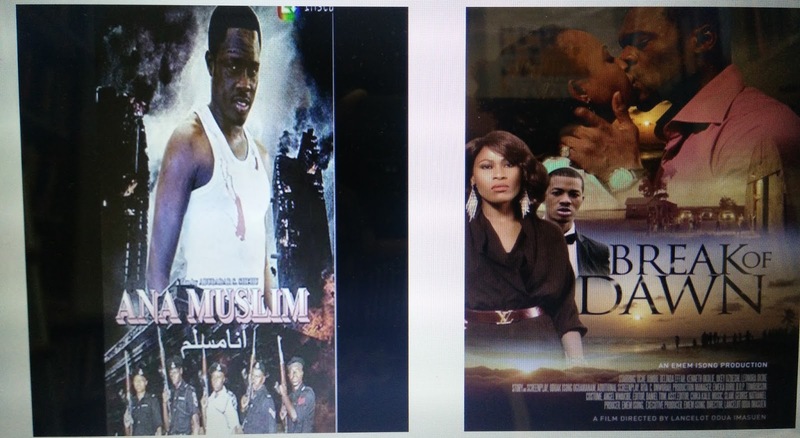 Nollywood and Kannywood are, arguably, the two major, distinct cinemas in Nigeria. On the one hand, Nollywood is based in the South (mainly Lagos) and produces films with Christianity and mostly Western-influenced motifs as themes, and are mostly in English, or other major Nigerian languages, except Hausa. 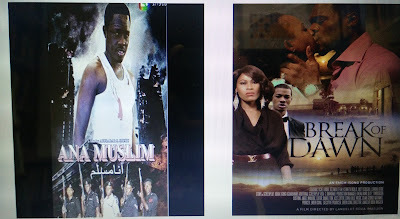 On the other hand, Kannywood (named after Kano state) films are almost exclusively in Hausa; Islam is their trademark, though what they portray may not comply with the religion. The filmmakers look up to Bollywood as role-model. That is why music and dance sequence is one of the prevalent signatures of their films. For ages, Bollywood has had a long history of spectacular acceptance in northern Nigeria. For many reasons, though not central to the topic under discussion, however, some people believed that there was a need to establish an indigenous film industry. In response to that, Kannywood was born in the early 1990s. In other words, the film industry was purportedly founded as a reaction to the imported foreign films, mainly from India, Hong Kong, and America that bear and bring in the alien ethos that is not religiously and culturally “unsuitable” for the Hausa audience, especially children. 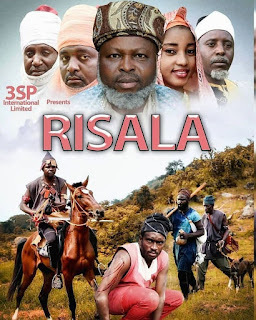 As a subtle counteraction or a subconscious description of the marginalized as well, the usual depiction of the southerners, or even some northern minorities in Kannywood films, is seldom nothing short of a travesty. Zukogi (2014) concludes that the Dan Gwari is constantly portrayed as a heathen who eats pork and gleefully drinks his local gin and is dull in his social interactions and poor in his mastery of the dominant language, Hausa; the Igbo is the quintessential Shylock, mean and grasps in business and money matters; the Yoruba plays the clown, the talkative, rambling character who repeatedly interferes in matters that do not concern him. In both instances described above, the subalternity is, to adapt Marks’s (2000:05) words, sometimes “narratively thin but emotionally full.” Once a member of that ‘marginalised’ ethnic group watches how his kinsman is portrayed, he feels the pain of the attack, or, as it is the case sometimes, laugh it off. There is, however, a little improvement in the portrayal of the ‘Other’ in Hausa films in recent years. The two leading film industries have, in an effort to establish an intercultural cinema, experimented a collaboration and produced films like Wata Shari’ar, Maja, Karangiya, Hajiya Babba, etc. in which stars of Kannywood and Nollywood, like the late Rabilu Musa (Dan Ibro), Nkem Owoh (Osofia), John Okafor (Mr. Ibu), Jim Iyke, Chinedu Ikedieze and Osita Iheme (Ake and Pawpaw) are featured. 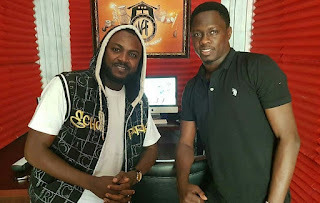 Some actors like Ali Nuhu, Sani Danja, and lately Rahama Sadau from Kannywood have equally been featured in some Nollywood films. But this is not enough to lump the two film industries together. Again, the experimented collaboration was not as successful as anticipated. It has been, by and large, suspended. One may argue, however, that it continues on the satellite channels broadcast series of Dadin Kowa and its sequel, Dadin Kowa Sabon Salo, Zarki, etc. But these are not known actors; most of them are debutants in the series. Yet, worthy of note is that the portrayal of the “other and sub-cultures” is generally positive, and poses to foster mutual respect and understanding among the diverse ethnic groups. In a nutshell, my lecture on this dichotomy exposed to me the fact that Nollywood is amazingly popular in Africa and beyond, while Kannywood still, shockingly, however, lingers in obscurity. I am aware that some select films have been shown in the US and Europe, but the glory of Nollywood is matchless to Kannywood’s. 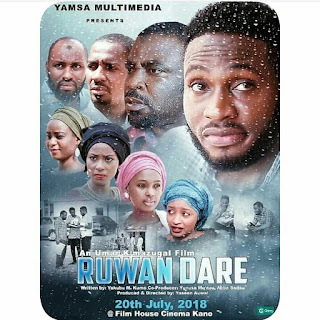 A number of factors are responsible for this, but the chief ones include language (English vs. Hausa); the northerners standoffish, closed attitude towards Kannywood films, and lack of collaboration between our academes and the filmmakers. As I write this, only a single university in the whole Northern Nigeria offers Film Studies as a course. Academics that show interest to study film or a related discipline are still discouraged or denied any chance to do so. Moreover, to many, supporting Kannywood in whatever name is a sin. 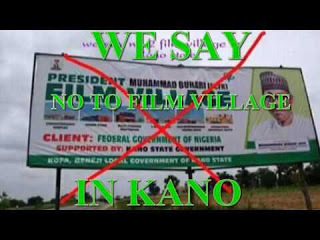 The obloquy over and the rejection of the Federal Government’s proposal to build a 3-billion worth film village in Kano, which is the epicentre of Kannywood film production and consumption, is still fresh in our memories. I don’t want to restart any banal argument on the legitimacy or otherwise of what the filmmakers do and whatnot here. What I know for sure is that nobody can ban filmmaking in Kano and other northern states. If that is the case, we should look for ways to make the “rubbish” they do better, etc. Armchair criticism will not change anything. With your permission or not, your wife, kids and wards will watch that which you lampoon on the social media. Thus, we should not throw the baby out with the bath water. Lest you forget what I have said in the preceding paragraphs, Kannywood is not Nollywood. The two are related but different.